rich girls. : Elle From 'They All Hate Us'. It's no secret that Elle's signature style involves the perfect pair of denim cut-offs. She's the queen of finding new and cute ways in styling them to make each outfit look like it's never been worn before. shots like these make me a tad excited to add a little something extra. the bright aztec emboided bag, her effortless waves and those IM sneakers. RESOLUTION: To put more effort into looking everyday casual chic, like Elle. Wow, thanks for posting. GREAT inspiration! She is my perfect style inspiration. Denim cut offs, perfect white tee or shorts and one staple accessory and you're done. Her looks are flawless. 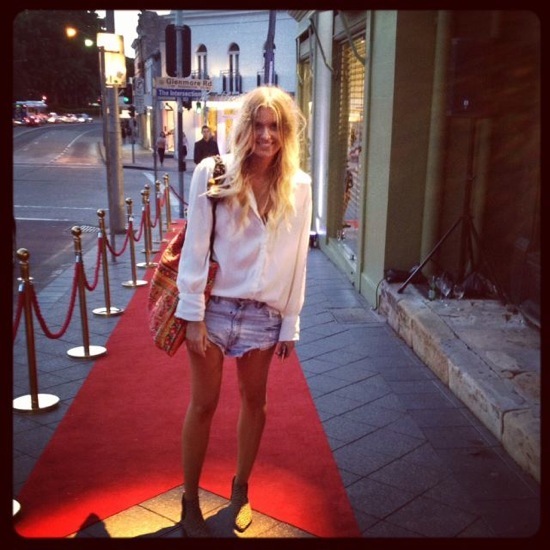 I wish I could pull off her effortless chic - she looks stunning in a white shirt and denim shorts. If I did that I'd just look boring. Ohhh, totally in love with her style! <3.. Didnt know her so thanks for sharing!! Ohh, her sense of style is so effortless & chic..! I love her hair too - slightly tousled & so natural looking. 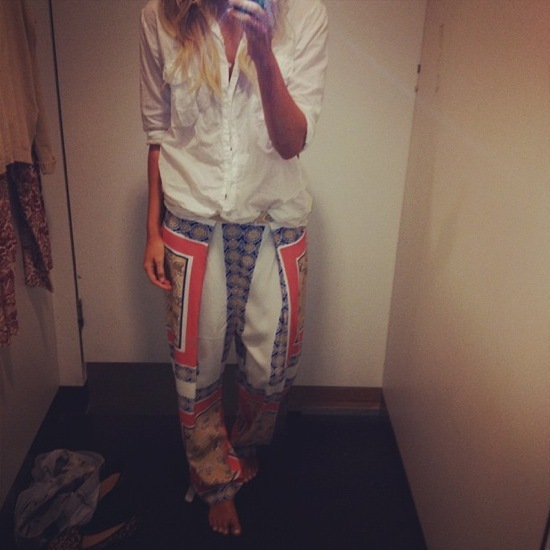 Loving all of these looks, but especially the Maurie & Eve pants... they're amazing! her denim shorts collection is unbelievable! I want them!